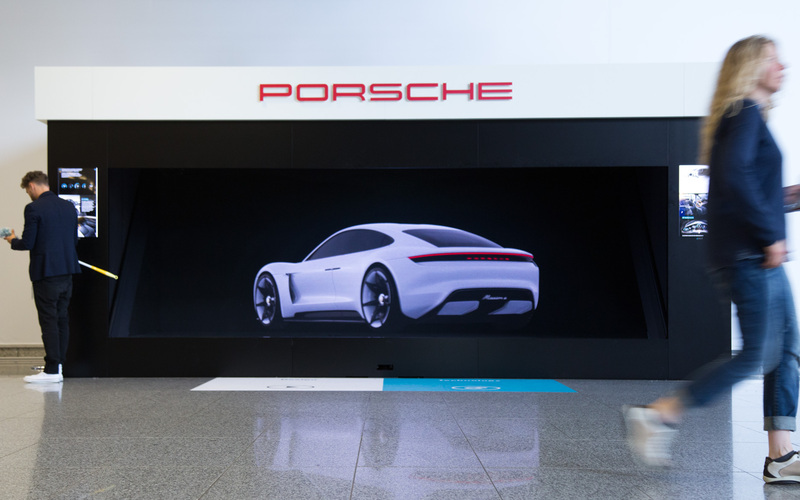 With holographic projection – holography – we offer a versatile tool to interactively and haptically bring product worlds to life. There are hardly any limits to the dimensions: so we have already made a virtual experience of ocean-liners or architecture structures. 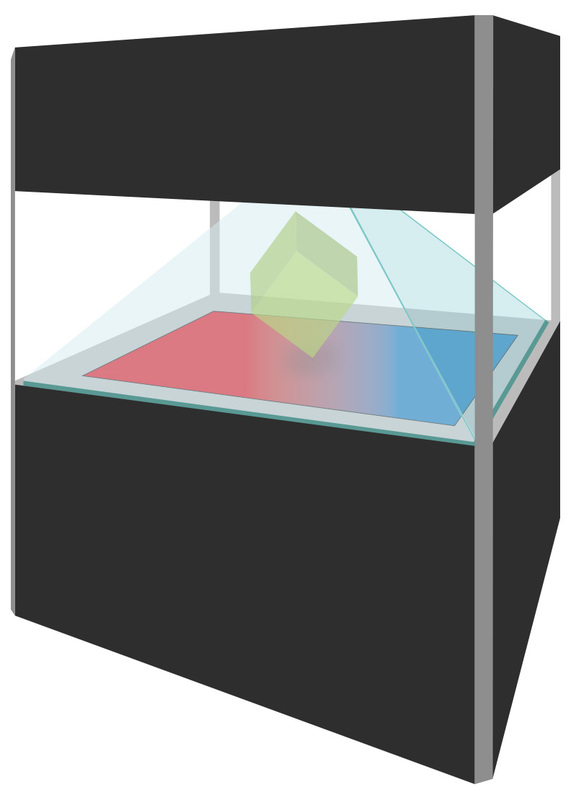 Our holo-pyramid can be used from four sides. This allows larger groups to retrieve identical and personalized content at the same time, and, if necessary, to interact. Thanks to the touch application or interactive product-configurator, you can present as many product variants as you want. With LED flooring, even a fifth screen can be opened, which can be played independently. Such driving models of automotive concepts are conceivable on different subsoils – or different floor coverings for furniture. The basic module of our HoloPro pyramid for rental and sale can be extended, is transportable and can be added-on with several other technologies. Add-Ons extend the basic product to include interactivity, playable ground (via LED or backprojection) and other applications. Please contact us directly, we will gladly advise you of your application.